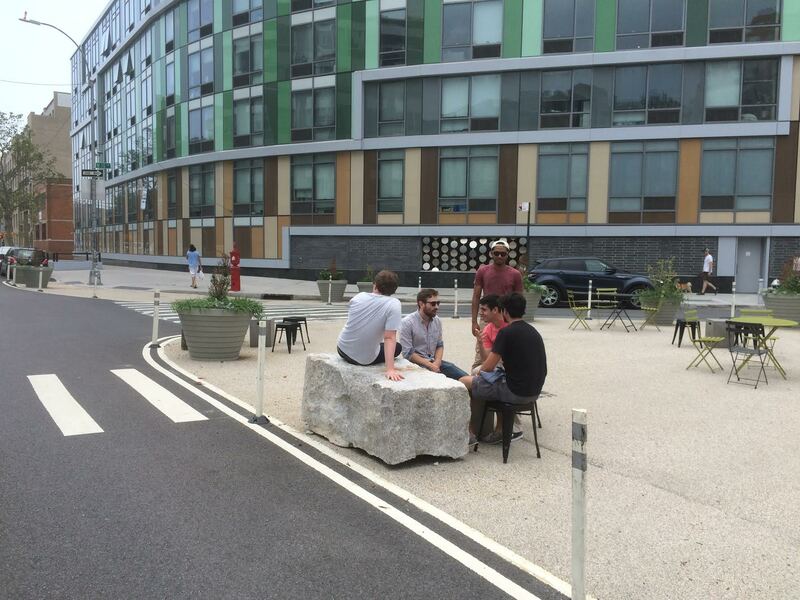 Description Large, granite blocks can be used as a barrier element and have the added benefit of doubling as seating, depending on use / placement. Typical Dimensions 36 in. long x 18 in. high, x 1.5 ft. wide. Estimated Cost Varies — typically sourced from existing city inventory (reused). Plazas Place along edge plaza area to visually define the plaza space. 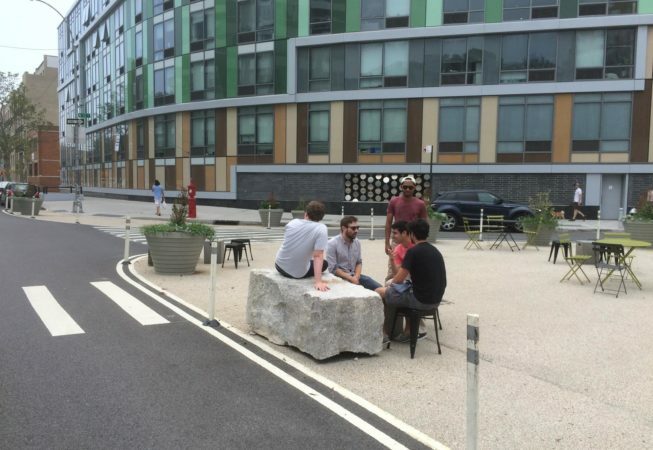 Strong case study example of this is NYCDOT’s use of granite blocks (along with planters) in and around plaza spaces to create a sense of enclosure and to buffer the plaza from motor vehicle traffic (see page 32 for more info). 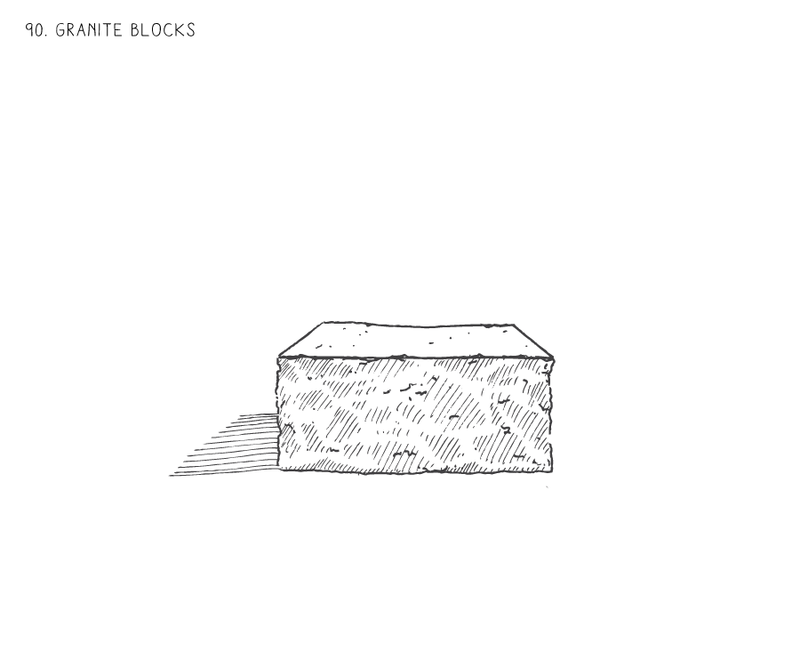 Blocks have also been used in Philadelphia for this purpose. 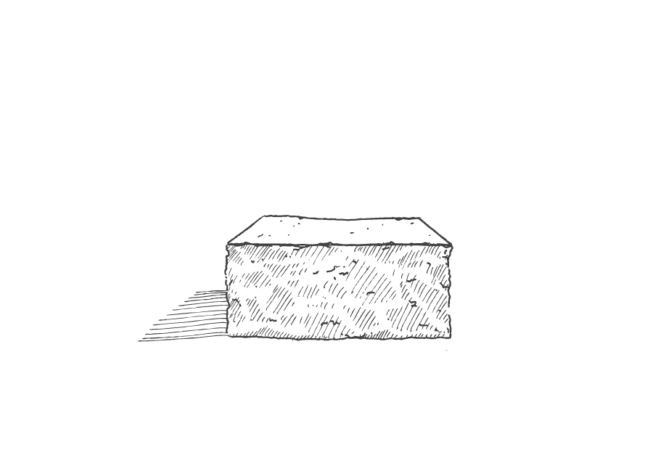 Use regionally-appropriate, locally sourced blocks whenever possible. Extremely heavy, requires trained staff and special equipment to transport. Concrete blocks are a good alternative. Purchase from local stone quarry or landscape vendor.